Human hands are versatile and amazing tools. It’s easy to take them for granted, and that can be a dangerous attitude in the workplace. 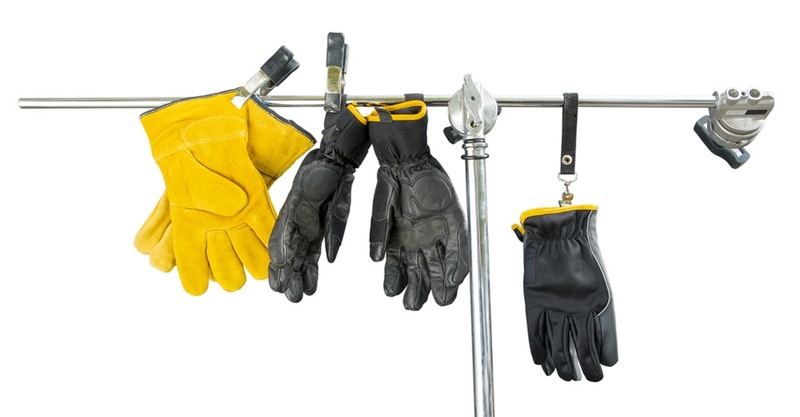 Today’s blog looks at hand safety and how you can help keep them injury-free on the job. Given how much we use our hands to do all our tasks, it’s not surprising that hand injuries are common at work. The Bureau of Labor Statistics recorded over 137,000 hand injuries in 2014 that involved days away from work, with a median loss of five days off the job. Be cautious with rotary machinery as it can catch loose clothing or jewelry and pull the hand into a machine. Remember, when working with a piece of machinery, you must not break the plane between moving parts. Hot objects and exposure to certain chemicals can cause burns when they come in contact with unprotected hands. Often the metal on machines or parts being produced can reach extreme temperatures. Be aware of areas where hot metals and liquids or chemicals may be present. Before working with a caustic, corrosive, or toxic chemical, consult the safety data sheet and container label to determine what precautions need to be taken and what personal protective equipment needs to be worn. Keep all machine guards and controls in place! The time saved by overriding or modifying a safety measure is not worth the risk of an injury. When using hand tools, be aware of your hand and wrist position. Proper posture will reduce the risk of musculoskeletal disorders. Utilizing the correct tools for the job, and properly fitting personal protective equipment places less stress on the nerves and tendons. Cutting devices are common tools in the work environment. Be sure not to cut towards your body when using a utility knife or cutting any material. Also, ensure that the blade is secured and locked into place to prevent injury. Need to get your hands around some safety training at your place of business? Summit has hand safety courses in streaming and DVD formats. Check them out in our library of workplace safety course offerings.